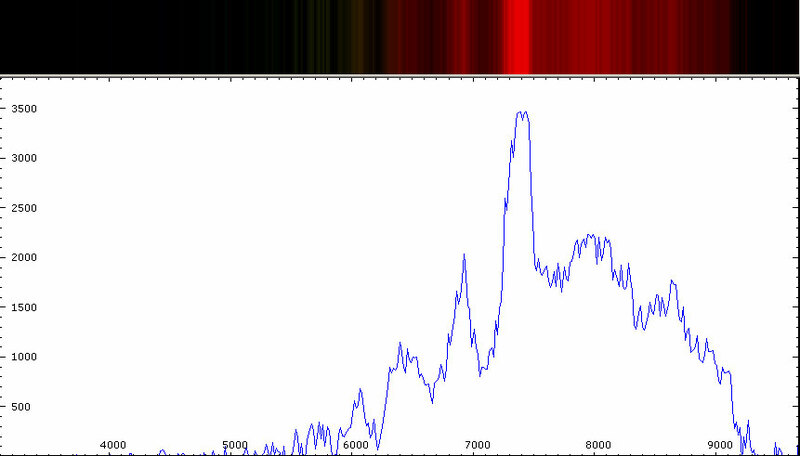 Image Details:This image is a single 1 minute integration using a grism spectrograph at Newtonian focus on the CN-212. MaxImDL was used to take the image and process the data. Calibration was done using VSpec software. 23 August 2005. GSC 3600:183, a very red star of unknown type. M4-M4.5 ?